UTSA (6-14, 1-7) fell to the Lady Toppers from Western Kentucky University (WKU) (13-9, 7-1) 81-62 in the Convocation Center, Feb. 1. Although the ‘Runners fell short, they finished strong in the final quarter, doubling WKU’s points earned in that quarter. The ‘Runners shot a field goal percentage of 52.3 percent with 29 total rebounds. UTSA had 44.4 percent on three-point field goals and five steals. UTSA found themselves down from the start as the Lady Toppers shot three, three-pointers. 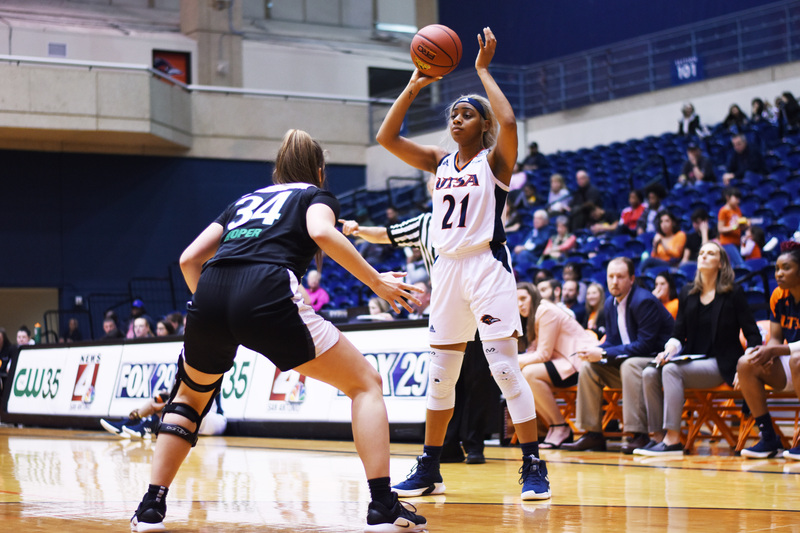 At the start, Marie Benson and Tija Hawkins dominated halfway through the first quarter, making up for all the points scored for UTSA with four points, respectively. WKU drained a shot right at the buzzer, leading 22-15 after the first. 12 of the ‘Runners shots were in the paint, with one three-pointer. UTSA came out into the second quarter scoring 18 points and shooting 50 percent from the field. WKU quickly racked up nine points at the start. The Benson sisters, Marie and Barbara, combined for 14 of the ‘Runners points, midway through the quarter. The Lady Toppers walked off the court at the half, maintaining the lead 52-33. The Benson sisters totaled for 22 of the ‘Runners 33 points. M. Benson summed for six rebounds and Karrington Donald with three. Holding down WKU, the ‘Runners blocked off the Lady Toppers for three minutes, remaining scoreless until midway through the quarter as UTSA was down 65-39. Racking up points, WKU shot 28.5 percent of their 28 points from the field. As the quarter began closing in, UTSA was now up to 20 turnovers and down 72-44. M. Benson accounted for 15 points and seven rebounds, as B. Benson accounted for 13 points. Opening the fourth quarter, the ‘Runners and the Lady Toppers began fouling each other until M. Benson put up 11 points, outscoring WKU 18-9 for the quarter. UTSA went on a 7-0 run, gaining momentum to close the scoring gap. UTSA managed to shoot 19 percent from the three-point line, finishing the game 81-62. 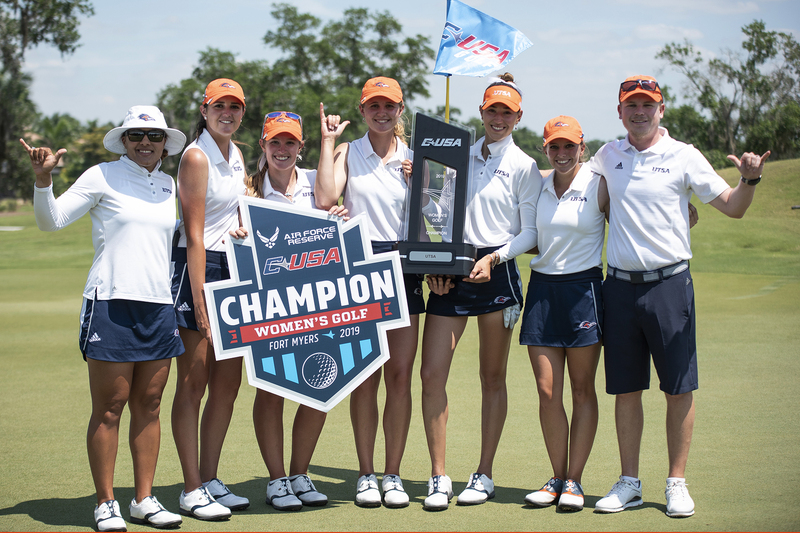 Over the weekend, UTSA (6-15, 1-8) finished closely behind Marshall University (13-9, 7-2) in an overtime thriller. The ‘Runners fell 79-72 to the Thundering Herd in the Convocation Center on Feb. 2. UTSA shot 37 percent from the field with 45 rebounds. Hawkins shot a career-high with 26 points for the ‘Runners. The ‘Runners came out strong with a 4-0 lead over the Thundering Herd. Back-to-back layups from Marshall kept the score close, before M. Benson increased the score to 15-11, as UTSA maintained the lead. With 17 seconds left in the half, M. Benson posted her 600th career rebound as a junior, becoming the eighth Roadrunner to reach this. The ‘Runners finished the quarter in the lead 15-11. The ‘Runners were on a roll, shooting 10-0 into the second quarter with 54.5 percent from the field. UTSA ran-down the clock, dominating the half at 30-19. The Thundering Herd came out on fire adding 4-0 to bridge the gap to seven. M. Benson bumped this gap by adding on two free throw shots. The ‘Runners continued to lead 45-38 into the fourth quarter. The fourth quarter put the stands on their toes with back-to-back shots between the Thundering Herd and the ‘Runners. Hawkins ran out a jumper to push-start the quarter and Marshall came out and shot two three-pointers. Donald scored which brought the ‘Runners lead back up to five. The ‘Runners remained in the lead until 20 seconds remained, when a Marshall player shot a three-pointer, moving the game into overtime at 64-64. 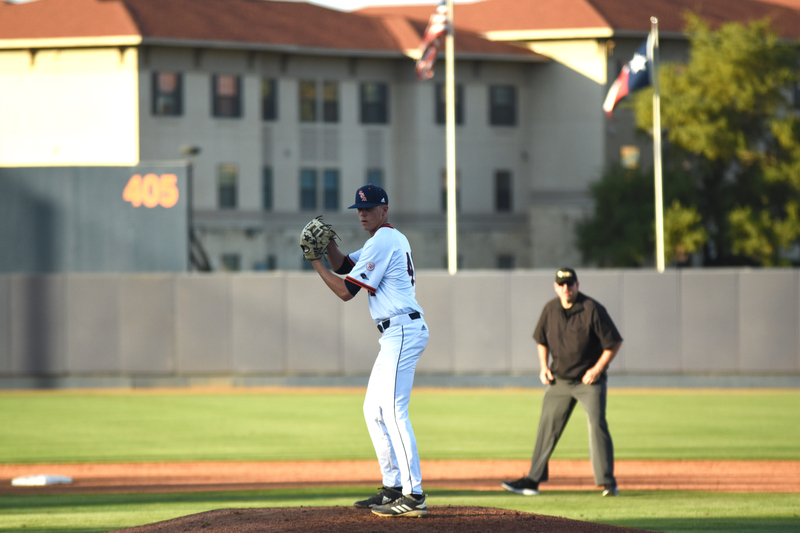 In overtime, Marshall outscored the ‘Runners 13-9, giving UTSA to another loss for the week. The game tied three times in the final period, but the ‘Runners were unable to hold their ground. The ‘Runners fell 79-72 to the Thundering Herd. The ‘Runners will play again on Feb. 7 at FIU. Tip-off will be at 10 a.m. CT.